At last night’s Imagine! Board of Directors meeting, I had the chance to say “thank you for your service” to two extraordinary Board members. Bob Davis is stepping down from the board after eight years of service. Bob frequently served as Board Treasurer during his tenure, as well as serving on a variety of committees, and his wise counsel and calm demeanor will be greatly missed. Pictured below, Board President Laura Koch presents him with a plaque commemorating his time on the board. We also thanked Chuck Wellman for his service. Fortunately, he isn’t leaving the Board entirely, but he did finish his tenure as Board President and is placing those duties into the capable hands of Laura Koch. Chuck’s steady guidance as President of the Board during the last year was vital, and we greatly appreciate all of his hard work in ensuring that Imagine! 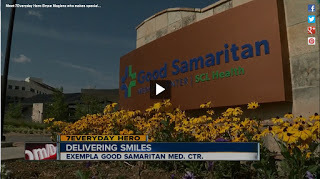 remains a leader locally, statewide, nationally, and even internationally in the field of serving individuals with a variety of intellectual disabilities. Below, Laura presents Chuck with a plaque of his own. Thank you Bob, Chuck, and all of the members of our Board, for all you have done for Imagine! and the people we serve! Sterling Wind, who works in Imagine!’s Public Relations department. The purpose of Imagine!’s Leadership Development program is to provide a coordinated platform that strategically develops talent within Imagine! to address the company’s leadership needs for the future. The program is designed to educate employee participants about the complexities of the organization and to assist management in learning about people with talent that may be good matches for leadership roles. Each participant in the LDG will gain a broad understanding of leadership skills and be provided the opportunity to apply their learning in various settings. Each participant will assess their present strengths and areas for growth and realize their potential for leadership. Leadership skills and knowledge gained will be applicable in many aspects of the successful participant’s experiences. 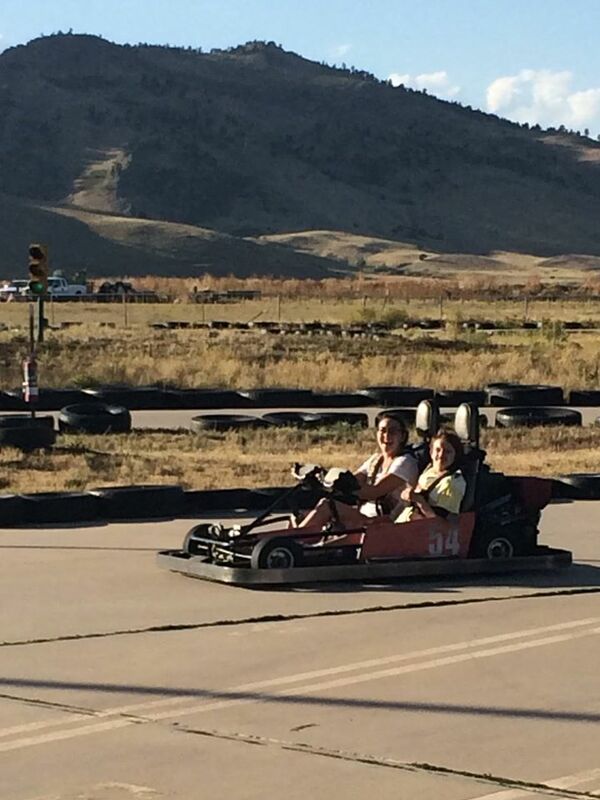 The Leadership Development Group will utilize a variety of methods of learning during the course of the year. These methods will include opportunities for self-study, facilitated group meetings, attendance at other Imagine! meetings, mentoring, training opportunities, and presentations. Congratulations to all of this year’s LDG members. I think you will find it to be a very rewarding experience. I’m looking forward to getting to know you and, just as important, to learning from you throughout the year. Imagine! is participating in a pilot project testing WaiverMarket.com to see if it offers a way for individuals served by Imagine! and their families to research provider agencies and the services they provide online. Rather than write a long description of the project, I thought I’d use technology and create a short video explaining what we’re doing, and what we hope to achieve. Enjoy! 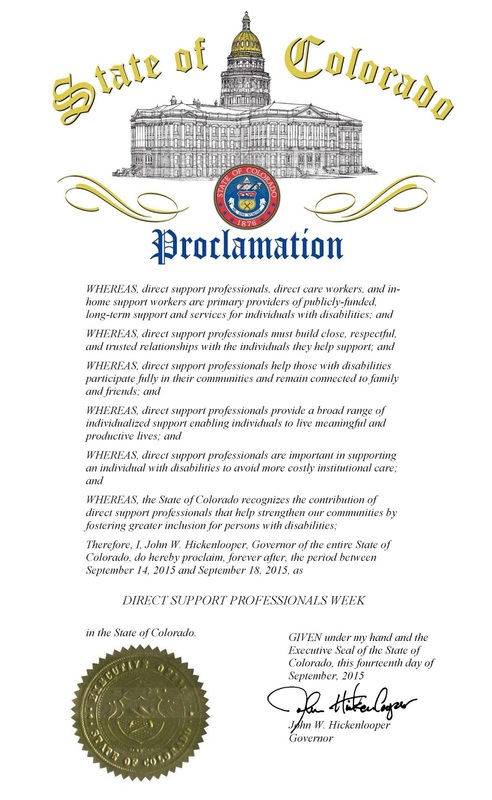 As I mentioned earlier this week, Colorado Governor John Hickenlooper has proclaimed the week of September 14-18, 2015 as Direct Support Professionals (DSP) Week. This proclamation recognizes the invaluable supports Direct Support Professionals (DSPs) provide and the difference this workforce makes in the lives of Coloradans with disabilities. 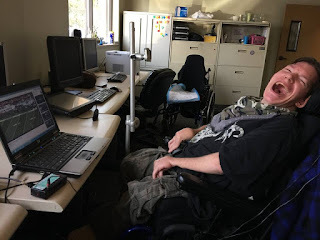 Direct Support Professionals, often referred to as caregivers, personal assistants, or home care aides, are the lynchpin to the ultimate success or failure of community-based long-term supports. 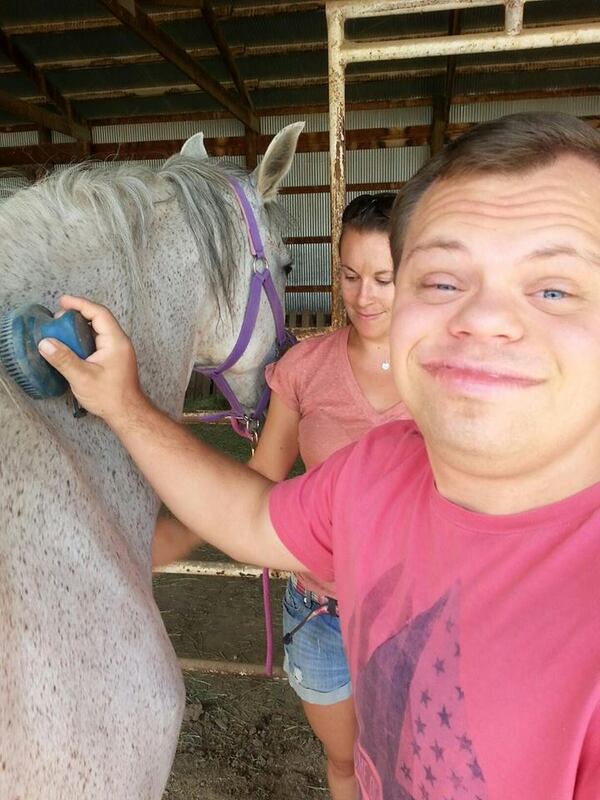 DSP workers build close, trusted relationships with the many people with disabilities they assist each day. They work in community settings assisting people with disabilities with medications, preparing and eating meals, dressing, mobility, participating in activities that they love, and handling daily affairs. The daily challenges these front-line workers face are both physically and emotionally demanding. We are so fortunate here at Imagine! to have so many dedicated, talented, and passionate people who are willing not only to take on this difficult job, but to excel at it. In honor of DSP Recognition Week, I’d like to use this space to acknowledge all of the DSPs who work here at Imagine!. Imagine! DSPs: Thank you for your commitment to the individuals we serve. I am humbled by your work ethic, compassion, and creativity. You inspire me every day. Imagine!’s Out & About department would like to extend a huge thank you to the families that joined them for their second “Thank Goodness It’s Saturday!” (TGIS) event. 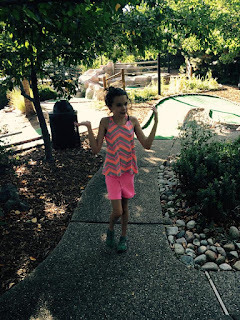 TGIS is a program that offers self-care activities for parents and providers, while also providing Out & About's usual therapeutic recreational activities for children - both regular attendees of Out & About and their siblings. Out & About understands that planning personal time can be difficult with having children, so they plan and provide the activity for parents and kids! The events for adults are free of charge and run the duration of the children's activity. The success of this most recent TGIS event was due in large part to Iyengar Yoga and Cured Boulder, who made the day possible with their incredibly generous donations. And what a day it was! 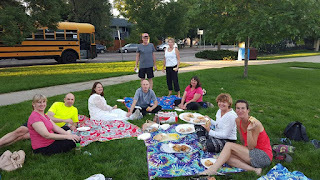 Parents enjoyed a yoga class at Iyengar Yoga and a picnic dinner from Cured Boulder while the kids had a blast at Gateway Fun Park. Check out the pictures below. 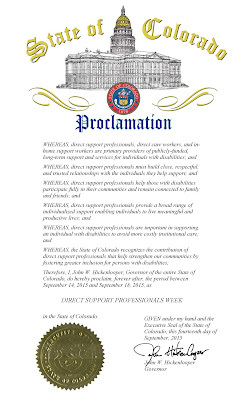 Colorado Governor John Hickenlooper has proclaimed the week of September 14-18 as Direct Support Professionals (DSP) Week. DSPs are the heart and soul of Imagine!, and we are so grateful for their dedication to our mission and the people we serve. So for today’s Technology Tuesday post, we’d like to invite you to revisit some previous Technology Tuesdays featuring DSPs associated with Imagine! who have used technology in ways that improve the lives of individuals with intellectual and developmental disabilities. Below is a short video featuring Imagine! Bob and Judy Charles SmartHome resident Johnny and Site Supervisor Shannon Bundy sharing how they are using an iPad app to overcome language barriers and communicate effectively. 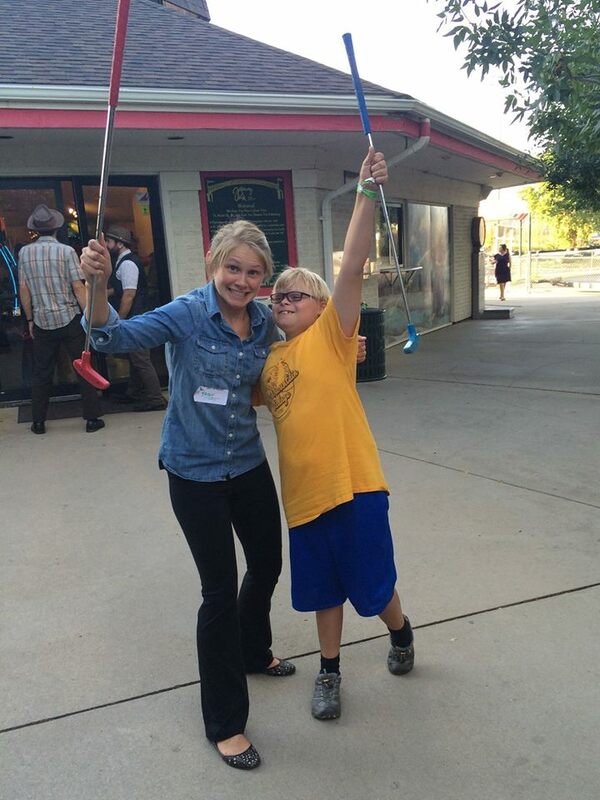 Check out another video about using technology to improve communication, featuring Alicia Nelson and her friend Tommy. Kelly Faus used technology in a variety of ways to open the doors to musical expression for individuals in Imagine! CORE/labor Source classes. Below, enjoy an original video the students created for a song they wrote themselves. Erica Sisavat, who teaches a poetry class at Imagine! 's CORE/Labor Source Program in Longmont, shared the following poem, which blossomed from the combined imaginations of Dawn, Neal and Autumn. The group wrote the poem after studying the “Jabberwocky” in Erica’s class. Please enjoy. “Watch out for the sword”! Thank you Dawn, Neil, and Autumn for sharing your creativity with us! Today I’d like to tell you about Telematics. Telematics refers to the use of wireless devices and “black box” technologies to transmit data in real time back to an organization. 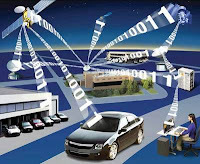 Typically, it's used in the context of automobiles, whereby installed or after-factory boxes collect and transmit data on vehicle use, maintenance requirements or automotive servicing. You may not be aware of this fact, but Imagine! has a rather large fleet of vehicles that we use to transport the individuals we serve to the various activities, like to job sites, or activities in the communities, or to medical appointments. Our fleet is vital to our success, and we are embarking on a pilot project to test Telematics to identify how best to utilize those assets. It will also help determine which vehicles should be replaced and when. We are starting the pilot out this month with a demo, which will include five vehicles from our CORE/Labor Source and Out & About departments. During this time, we will have a chance to test the product as well as familiarize ourselves with the program. If all goes well, we’ll place an additional 40 vehicles on the plan within these two groups. At the end of the first year we’ll determine the value of adding other parts of the fleet. GPS units will be linked to each vehicle’s own computer. This provides live vehicle location (tracked on the web via computer or smart phone), as well as vehicle diagnostics, such as fuel consumption, speed/direction of travel/routes and stops, idle-time, etc. Each department will be able to track their own specific fleet as well as see the entire Imagine! fleet for comparison purposes. Detailed data reporting in regards to specific vehicles or the whole fleet will be used to benchmark opportunities for improvements. We’re excited to embark on this project. Whenever we are able to be more efficient with the logistics of our work, it means we can focus more energy and resources on delivering great services and opening doors to community participation among individuals with intellectual disabilities. 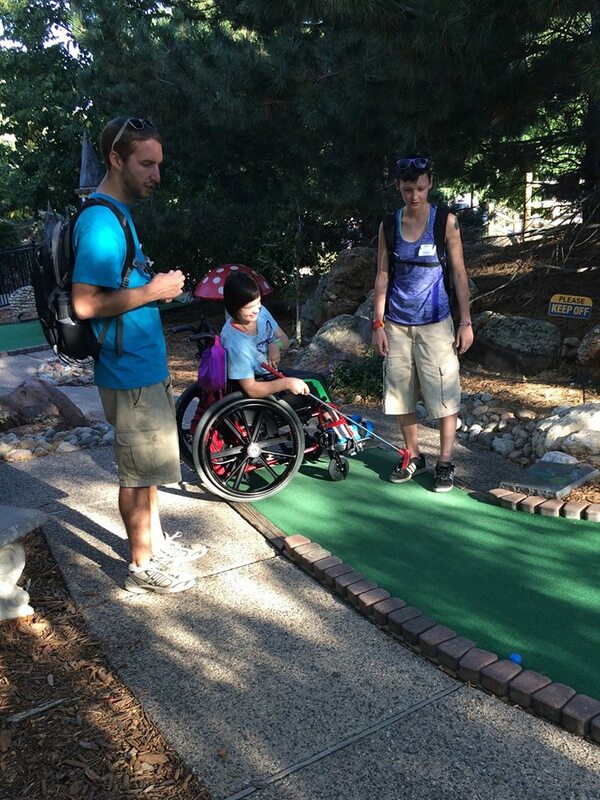 Imagine!’s Dayspring department’s Community Calendar Activities (CCAs) introduce families with young children who have developmental disabilities or delays to places in our community that offer great activities and opportunities for children to meet their goals through fun and play. All activities encourage motor, sensory, social-emotional, cognitive, and speech-language development. 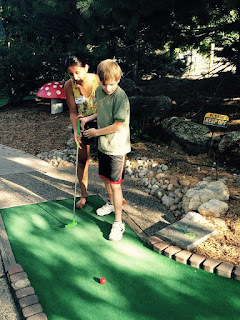 Each location has activities that are age and developmentally appropriate. Activities are centered around play, because play is the primary vehicle for a child’s mental and physical growth. Play has a vital role in cognitive, speech-language, physical, emotional, and social development. Much of young children’s learning takes place when they direct their own play. Learning occurs as children touch, manipulate, experiment and talk about things, while interacting with people who facilitate without directing. During play, children are provided with sensory experiences and opportunities to move. Young children need to climb, run, jump and challenge themselves motorically. Children are natural explorers and instinctively touch, taste, hear, and observe the world around them. In order to create these meaningful community activities, Imagine! needs the support of many local organizations. 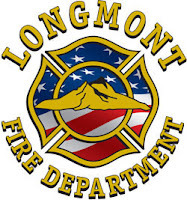 So today I’d like to highlight one community partner that does so much to connect young children with developmental delays and disabilities and their families with the community: Longmont Fire Station #3. The generous firefighters at Longmont Fire Station #3 open their doors once a year to children and families served by Dayspring. The firefighters give guided tours of the station and hand out free firefighter hats to the kids (and some of the adults, too!). 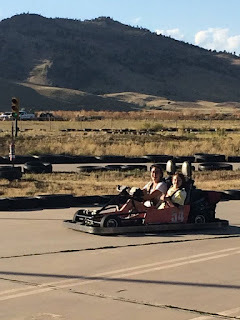 It is always one of the most popular CCA activities of the year. Thank you, Longmont Fire Station #3, for your support of Imagine!, Dayspring, and your community! 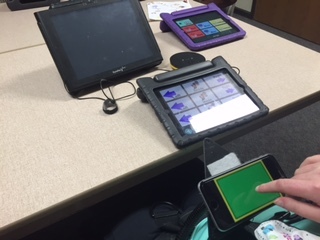 This week’s Technology Tuesday is another exciting edition of “Chris’s Corner,” featuring a communicative update from Chris Baumgart, Imagine!’s Assistive Technology Specialist. This edition of Chris’s Corner takes us to a Balanced Living class at the Boulder Hub of Imagine!’s CORE/Labor Source department. As we saw in the previous edition of Chris’s Corner, people are in full swing using iPads as communication devices. If you didn’t see that post, you can check it out here. Today I’d like to show you another method of using these iPads for communication. Many people have challenges using a touch screen for communication, especially when it comes to fine motor control, and discriminating between several buttons on a screen. One of the work-arounds that we’ve begun implementing in Balanced Living is employing a separate iOS device as an individual switch. It works like this: If the iPad you’re using is equipped with the GoTalkNow, and is connected to a WiFi network, a separate iOS device (for ease of access, a smaller device, such as an iPad mini, an iPhone, or an iPod Touch works best) can be equipped with the Attainment Switch app, and then you will be prompted to connect with the desired iPad, and voilà! 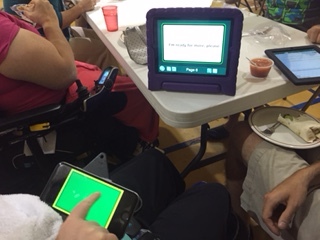 You have a switch accessible iPad that can be customized to suit the user’s needs. Suddenly you have an accessible communication device without the hefty communication device price tag. Check out the pictures below! That’s all for this week’s Corner! Stayed tuned for another edition!